The Alabama Gulf Coast spans 32 miles and has three unique beach communities: Fort Morgan, Gulf Shores and Orange Beach. Each beach town has unique qualities and features that sets it apart from the others. Continue reading to find out all you need to know to pick the perfect location for your family’s beach vacation. If you’re looking for the ultimate in seclusion and relaxation, Fort Morgan is the place for you. This beach community gets its name from historic Fort Morgan which lies at the end of scenic Fort Morgan Road (Hwy. 180). You won’t find any amusement parks or arcades in Fort Morgan, but the beaches are less crowded, which means your family will have more room to splash in the waves or play a game of beach football. Depending on where you stay, it may take a 15 to 20 minute drive to get back into Gulf Shores. If you’re truly looking to get away from it all, a little extra drive time is a small price to pay. And even though there aren’t any supermarkets in Fort Morgan, there are a few small grocery stores and some very nice restaurants. So you won’t have to travel too far to find everything you need for a great time. When people think of Alabama’s beaches, they usually think of Gulf Shores. Home to popular attractions such as The Hangout and Waterville, Gulf Shores is the hub of activity along the Alabama Gulf Coast. With the most condo towers of the three beach communities, you will find more crowds compared to Fort Morgan or Orange Beach. There are great restaurants, souvenir shops and popular beach boutiques throughout Gulf Shores. If you’re looking to get off the beach for a little while and have some fun, Gulf Shores has you covered. 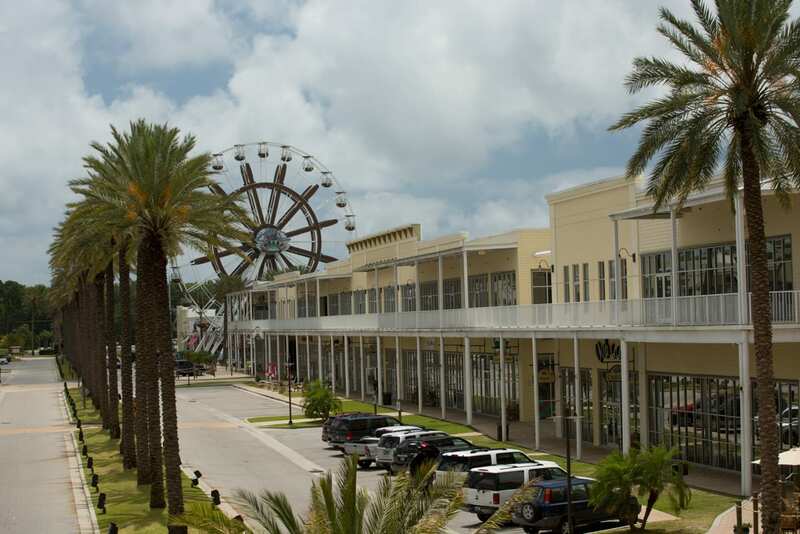 You’ll find arcades, go-kart rides, putt-putt golf and even zip lining all just a short drive away. Gulf Shores is perfect for the family looking for an active beach vacation. What started as a small fishing village has now turned into a popular vacation destination. Orange Beach is home to The Wharf where you’re family will find great local restaurants, laser tag, concerts and shopping, but Orange Beach still excels at being a fisherman’s paradise. If you’re looking to charter a fishing trip, then check outZeke’s Marina where you’ll find back bay fishing options as well as deep sea charters for anyone looking to land the big one. If you’re more interested in cruising on the water than fishing, take a look at Sail Wild Hearts. This 53-foot catamaran offers everything from dolphin cruises to paddle boarding, kayaking and sunset cruises. Orange Beach is the perfect destination for the family looking to spend as much time on the water as in the water. Have you had a chance to experience any of these beach communities? If so, leave us a comment to let us know what your family enjoyed most about your trip. Previous Post « The Right Choice: Management Company or VRBO?